If you attended my session at VSTE 2018, thank you and I hope the time you spent was valuable. Below are the resources I used and links to other materials to help you continue your learning about Google Tour Creator and other virtual reality tools you and your can use to do it yourself. For those visiting who were not at the session, you are also welcome to use anything you find on this page (or the rest of the site), although some of it may not make sense without the live part of the presentation. Either way, please feel free to contact me with questions, comments, suggestions for improving the materials, and/or examples of how you are using virtual reality with your students. According to Wikipedia it is “…an interactive computer-generated experience taking place within a simulated environment”. That’s a pretty broad statement, but good enough for us to begin an exploration of the topic. After all, VR, and it’s cousin AR (augmented reality), is very much in the beginning experimental stages so, at this point, it’s all exploration. However, there is already much you can do with VR in your classroom, with and without goggles. Using Google’s VR tools like Tour Creator, it’s possible for you and your students to create your own basic VR experiences. It’s what I call, DIY VR. 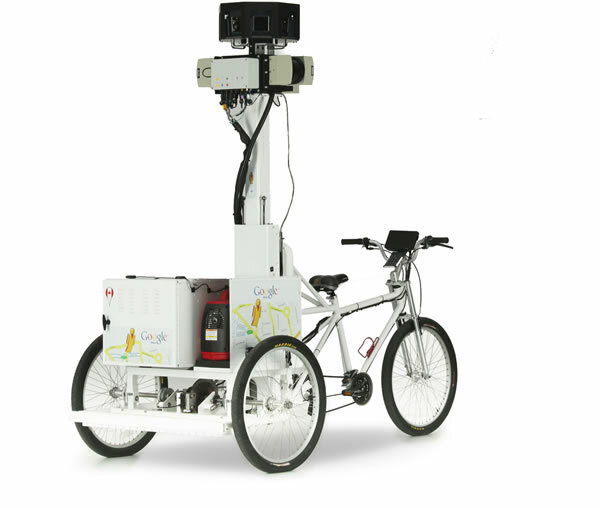 The image below is an example of Street View. Click (or tap) and drag in the picture to look around the location, including straight up and straight down. 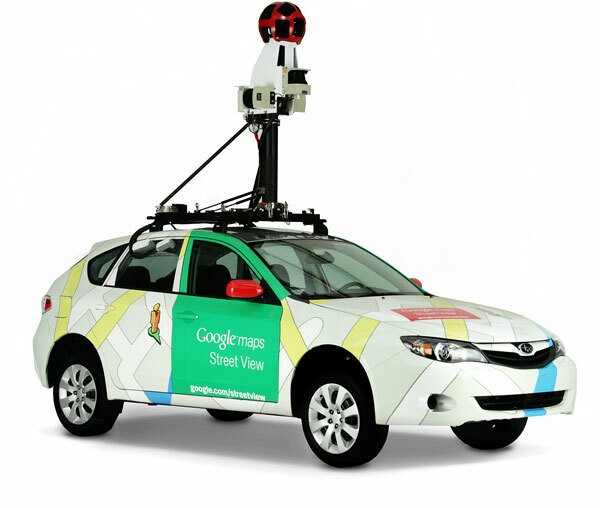 Since 2007, Google has been using special camera arrays (like the one on the car below) to capture 360° images of locations all over the world. In the past few years, they’ve taken the cameras off the road as well, into deserts on camels, through museums on trollies, and down trails into the Grand Canyon on a backpack. The map on this page shows where they’ve been and the table shows where they’re going next. But you don’t need expensive gear to take your own 360° images. I took this one using a relatively inexpensive camera (Insta360 One; about $300). There are many similar cameras available, ranging in price from under $100 to many thousands of dollars. Although it takes a little more time and effort, you can also create the images (also called Photospheres) using the free Street View app on your smartphone. Check out the directions for making that happen. This is a relatively new (released May, 2018) tool for building VR tours using those Google’s Street View images. Or by uploading 360° pictures you’ve taken yourself. The tours are similar to Google Expeditions since you can include text, hot spots, and audio. However, at the time when this was written, it is not easy to use VR goggles with our creation. Here is an example of a tour, the visit to some ancient sites in Rome that I showed in the presentation. Click and hold to drag around the image. Click the i icon to see the text. Click the arrows at the bottom to move between locations. For many, many more examples, visit the Google Poly tours site. On that page, you can search by keyword, or click on the Main Menu in the upper left and browse by category in the lower part of the menu. That’s the basics of Tour Creator and DIY VR. There is still lots to explore, of course. When you’re ready to create your own tours, check out my introductory tutorial to get started. And watch this site for more in the future. DIY VR is only just getting started.